On 27th July 1890 a gaunt figure stumbled down a drowsy high street at twilight in the small French country town of Auvers. The man was carrying nothing; his hands clasped to a fresh bullet wound leaking blood from his belly. This was Vincent van Gogh, then a little known artist; now the most famous artist in the world. Vincent van Gogh is the world’s most famous painter. Vincent van Gogh is the world’s most famous painter. His Starry Night, Café Terrace at Night, Sunflowers, Wheatfield with Crows and indeed his own face in his many self-portraits are among the most recognised images in our world. Vincent is not only famous for his paintings, but also for his tortured life, notably for cutting off his ear and shooting himself while painting at his easel; painting to the bitter end of his unhappy misunderstood life. He is the world’s totemic ‘tortured artist’. Loving Vincent explores Vincent’s life and work by bringing to life some of Vincent van Gogh’s most inspirational paintings to tell his story. ... (Chris O’Dowd), loyal friend to Vincent finds out that his friend shot himself somewhere up North. He has in his possession a letter from Vincent to his beloved brother, Theo, which was returned as undeliverable. On hearing the news about Vincent he sends his hot-blooded son, Armand Roulin (Douglas Booth), on a mission to deliver the letter by hand to Theo and find out what really happened to Vincent. Armand is a reluctant detective, not much caring for his father’s erratic erstwhile drinking companion. After having witnessed Vincent on the night he cut off his ear Armand can all too easily imagine the unstable Vincent taking his own life. But his father insists, so he heads to Paris. In Paris there is no sign of Theo. He is directed to Pere Tanguy (John Sessions), the paint seller. ...that it is not only Vincent that is dead: his beloved brother Theo died shortly after him. Pere then surprises Armand by revealing that Vincent wasn’t some delusional loner and was actually famous among the artistic elite in Paris. Pere cannot fathom why Vincent would commit suicide when he seemed to be on the brink of stardom. So he directs Armand on to Auvers, the scene of the crime, to seek answers from Vincent’s eccentric doctor at the end, Dr Gachet (Jerome Flynn). Loving Vincent is the world’s first fully painted film. 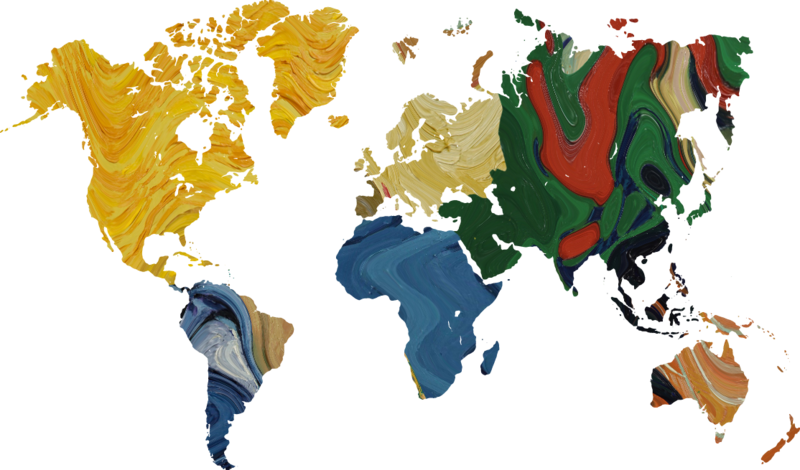 We painted over 65,000 frames on over 1,000 canvases. We shot the film with actors, and literally painted over it frame by frame. This is a very laborious and time-consuming process. It has taken us 4 years to develop the technique, and it took us over 2 years with a team of over 100 painters working at studios in the Polish cities of Gdansk and Wroclaw, and a studio in Athens to complete the film. The reason we made the film is not because we want to be the first, or that we want to set any records, it is because we believe that you cannot truly tell Vincent’s story without his paintings, so we needed to bring his paintings to life. Who am I in the eyes of most people. A nobody, a non-entity, an unpleasant person. Someone who has not, and never will have, any position in society, in short the lowest of the low. Well then, even if that was all absolutely true, one day I would like show by my work, what this non-entity has in his heart. Director Dorota Kobiela trained as a painter. It was the abiding passion of her life until she made her first film. Then film enticed her away with its excitement and camaraderie, but after a few years working in film Dorota missed the soulful and contemplative world of painting. A crisis ensued, during which Dorota turned for solace to the letters of Vincent van Gogh. Out of crisis emerged the idea to combine film and painting. She decided to do so by taking Vincent at his word: the words written in his last letter: “We cannot speak other than by our paintings”. 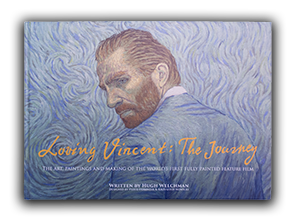 She embarked on making Loving Vincent, to bring his paintings to life to talk for him. In this section you will find more details about our actors and their roles. Find out about the main crew members. Screenings coming soon, sign up to our newsletter for updates. Available to buy on DVD and Blu Ray. Watch online through SF Anytime or iTunes. Order the film on DVD or Blu-ray from 27th March! Our painters talk about their work on Loving Vincent.